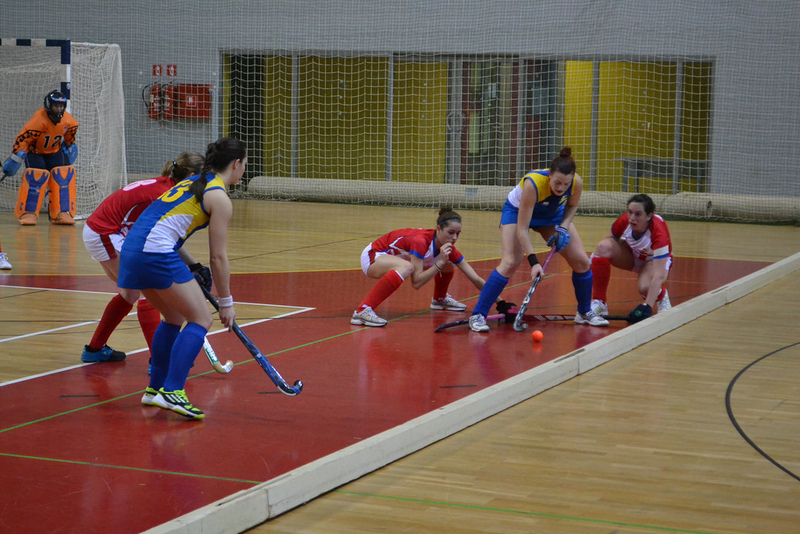 Attacking Free Pushes within 3 metres of the edge of the circle – in line with the recommendation from the Athletes, there should be a consistent approach between Outdoor and Indoor Hockey. An attacking free push awarded within 3 metres of the circle should be taken from the point of the offence, with essentially the same interpretation as for Outdoor Hockey, but adjusted for the possibility to play the ball off the side-boards (where the ball would need to travel at least 3m before it rebounds off them into the circle). ‘Corner’ re-start – after the ball has been played over the back-line and no goal is scored, if played unintentionally by a defender or deflected by a goalkeeper or player with goalkeeping privileges, play will be re-started with the ball on the centre-line and in line with where it crossed the back-line and the procedures for a free push will apply. Green Card as a temporary suspension for 1 minute of playing time – it was agreed that this should be adopted into the Rules, rather than just being an FIH Indoor Tournament Regulation which varies the Rules of Indoor Hockey. NB. Issues surrounding the awarding of a Penalty Corner in combination with a Green Card will be addressed at International level, since the suspension time is virtually over if a team takes the full 40 seconds to put on their protective equipment. Ideally, Umpires should stop the clock under these circumstances. Other than as described above, any further changes in the 2017 edition of the Rules of Indoor Hockey are clarifications of existing Rules. To draw attention to all changes, even to minor points of clarification, a line will appear in the margin of any text which has been changed when the full set of Rules is published. It is anticipated that Rules books incorporating the changes referred to in this notice will be printed and made available on the FIH website in September 2016.